Now a day’s its quite common between the Android Tab users is during switching on the tablet , a white display appear on the screen of the tab and it remain so. This generally happen when the tab is quite old or it has fallen on floor. A video has been posted at the end of this post where a tab with white screen has been fixed and the very same method will work with other Android tablet also. 1. 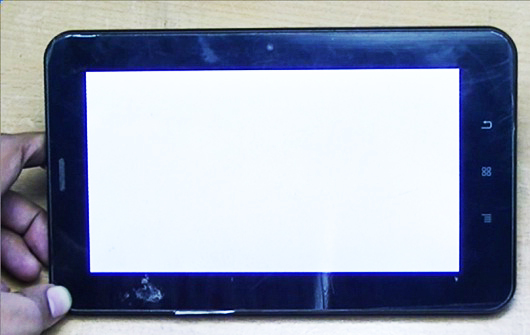 LCD is completely dead : In this case LCD or display replacement has to be done. 2. 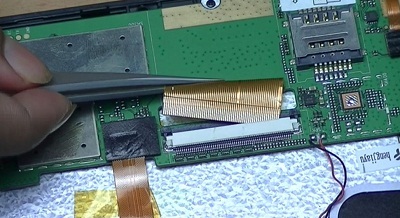 LCD connector is effected by carbon or dirt particle: If the LCD connector is surrounded by the carbon then it has to be removed. There are simple steps which can overcome this problem and can help you in getting your Tab ready for the use. Check the video for detail instruction.